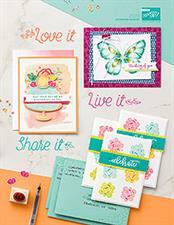 During July, anyone who purchases the Stampin' Up! 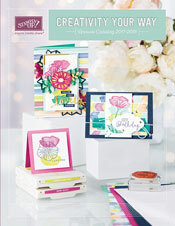 Starter kit will receive a FREE assortment of Classic Stampin' Pads of their choosing! The starter kit is only $99 and you get to choose the product in your kit! What a deal!!! Below are the different ink pad color collections you get to choose from. Are you ready to order yours? Just go to my website and click on Join the Fun! On June 15 my husband, my son Nick and I made a cross country move from Austin, Texas back to Minnesota. We were in Texas for 4 years while my husband worked for Dell. He was laid off in December and we found ourselves with the dilemma of staying in Texas or moving back to Minnesota. My husband applied for jobs in both places. In January we spoke to our son, Sam, who was a senior in high school and son, Nick a college student, about moving back to Minnesota with us. They both were sure they wanted to stay in Austin. We weren't ready to be living 1000 miles away from them so Doug turned down a job offer in Minnesota and continued to look for work in Austin. Fast forward 4 months and Doug still didn't have any job offers in Texas. He messaged the Minnesota company that offered him a job in January to see if they had filled the position. They hadn't. He asked them if they would be open to talking to him again about the position and they said they were. We had a discussion where we both looked at each other and said, "I think this is our opportunity to go back to Minnesota." We talked to our boys again and they still both wanted to stay in Austin. We decided we had to do what was best for us. In mid April Doug drove a moving truck back with our first wave of stuff. I stayed behind with the boys to get our house ready for sale and to get Sam graduated from high school. Our house sold the first day we had it up for sale. We closed on the house on June 15. Nick decided to come back with us and Sam is still in Texas living with a friend's family for the summer. All of this to say, "I'M BACK IN MINNESOTA Y'ALL!!!" I don't really say y'all but it seemed appropriate in this instance. We are now living in a small 2 bedroom townhouse with most of our things still in boxes while we are having a house built in Lakeville. I decided I needed some "essentials" from my craft room to keep me happy during the interim in our townhouse. Somehow I managed to find a few things to make 2 very simple cards for a graduation party and a wedding we attended less than a week after our move. My set up is going to be awkward for awhile both creating and taking pictures. That's ok. It's just temporary. I'm just happy I didn't have to go out and buy any cards for these occasions. I haven't bought a store bought card in over 15 years!